Challenging and rewarding best describes the PADI Rescue Diver Course. 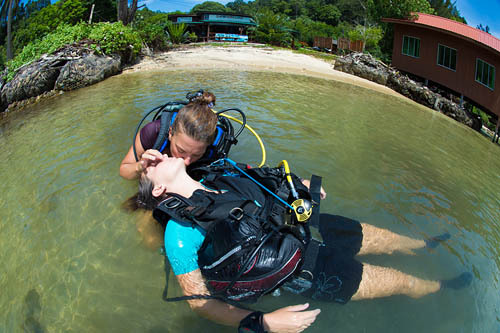 Many divers say this is the best PADI course they’ve ever taken! Rescue Divers learn to look beyond themselves and consider the safety and well being of others. 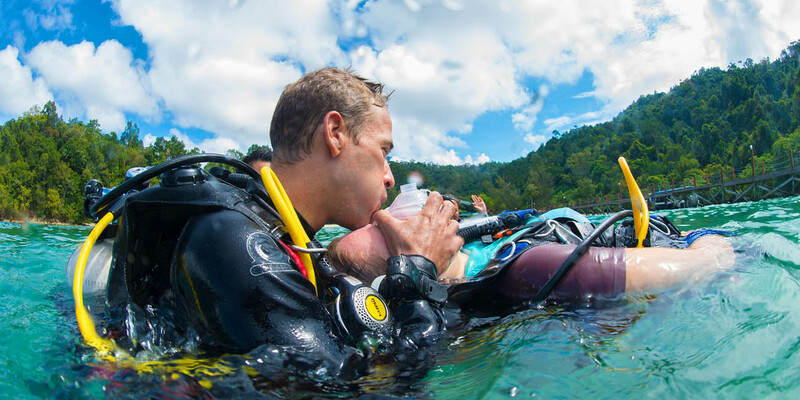 Our PADI Rescue Diver Course Gaya Island will expand your knowledge and experience level. 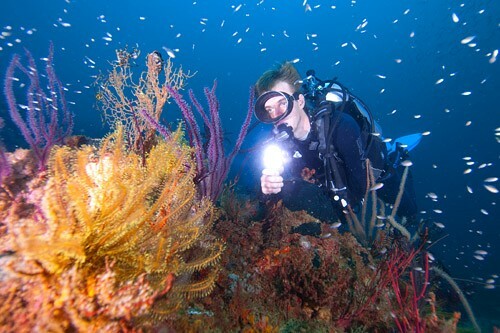 It is indeed a rewarding way to build your confidence, knowledge and experience as a diver. The training will prepare you to prevent problems and if necessary, manage dive emergencies. 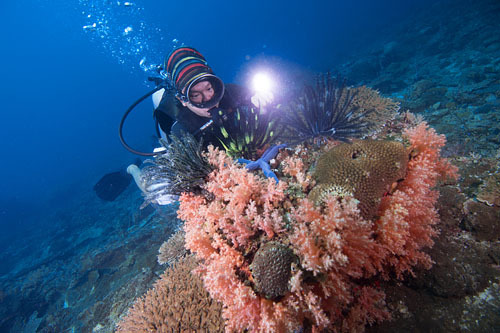 Our PADI Rescue Diver Course Gaya Island can be conducted over 3 days. During this time you will learn a number of new skills and complete your academics at our island based PADI 5 Star Career Development Centre. Once your PADI Instructor has taught you the various skills you will perform them during a number of controlled rescue scenarios. Our island based location is the perfect venue for such a course. Providing a number of entry/exit points to the water plus confined & open water sites practice. Between sessions you will return to our beach house dive centre for refreshments. If you are not already an Emergency First Responder or equivalent you will also need to complete this course by adding another day making the entire course duration 4 days. The Emergency First Response Course will be conducted at the dive centre too and seamlessly incorporated into the four day program. To provide students with the basic knowledge and skills of First Aid rescue skill procedures. To provide student divers with the knowledge on how to anticipate, prevent and manage potential dive accidents. 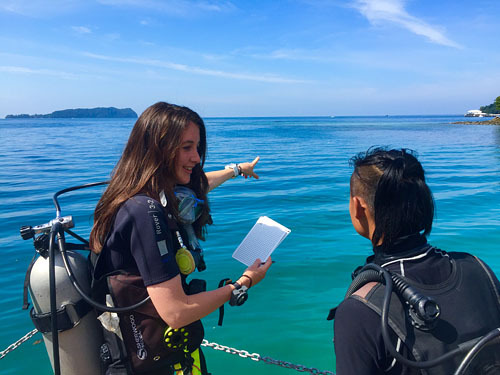 To prepare the student diver to perform a search pattern using proper search techniques. To handle an accident while waiting for emergency medical care. Our learning approach is through practical sessions with discussions, and small group activities using audiovisual materials. Knowledge mastery is assessed using Knowledge Reviews, Quizzes and Final Exam with minimum score of 75%. Skills mastery is assessed by student demonstration of skill proficiency and competency in water. 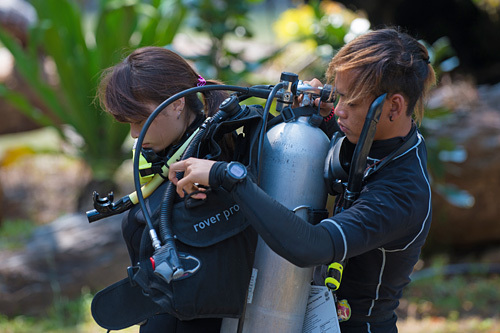 The junior rescue diver course involves exactly the same training. At the age of 15 years the certification can be upgraded at no extra cost. Flying & Climbing After Diving According to our current PADI Flying After Diving guidelines – it is highly advised you should not go to altitude (this includes flying and climbing) within 18 hours when doing multiple dives. This means that the day after your diving program you can take a flight after 0930hrs in the morning. Or you can choose to not take part in the afternoon dive and therefore take a flight after 0600hrs in the morning the following day. 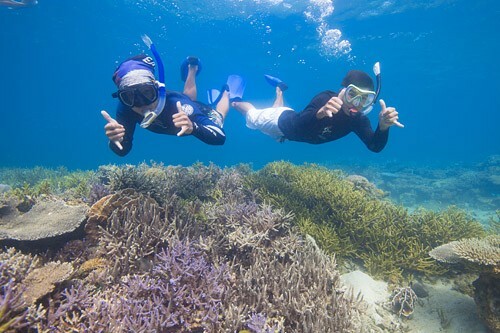 Please note that since all our courses/programs last a full day there will be no refund offered for missed dives since you have the option to stay on the island or enjoy snorkelling and trekking activities. 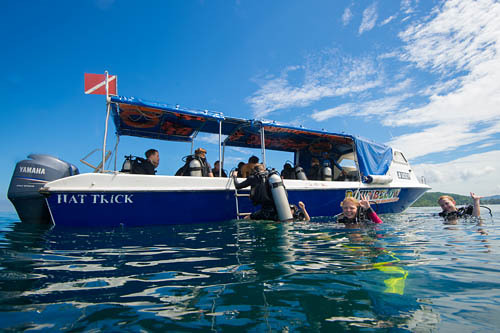 We run daily picks ups from Kota Kinabalu City to our dive centre. Our all inclusive price means that you pay one price which includes everything you’ll need for a great day out. That’s return transfers from your hotel (KK City Centre only including Tanjung Aru – subject to confirmed bookings), boat transfers, park and jetty fees, activity equipment, refreshments – free flow water / tea / coffee and freshly cooked lunch. All programs last for the full day and our return boat transfer to the mainland is at 16:00. 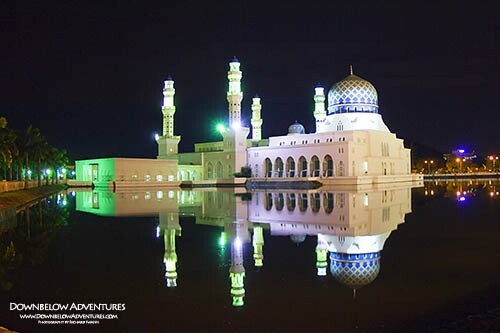 If you would like to leave earlier this is classified as a private transfer and the cost is RM110.00 per boat. 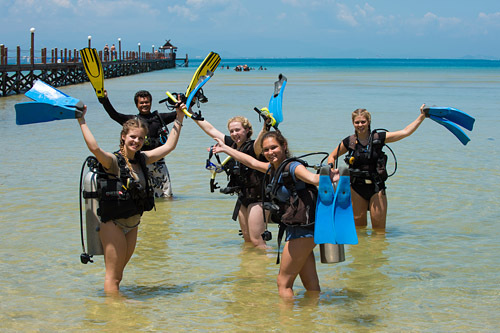 Complete the remaining speciality dives linked to your adventure dives along with the Rescue Diver course and earn the highest rating in non professional PADI Scuba Diving – Master Scuba Diver. Application is FREE! This is a 3 day course, based on participants individual performance and ability to meet the course objectives. You can save one day of course time by completing the academics online through our eLearning Portal. Self Study: Read chapter 1 – 5 of the PADI Rescue Diver manual and complete all related knowledge review (this represents the entire manual). If you have time to collect the self study materials before the course – great! If not the self study can be completed during the course in your own time. Note : Day 4 is an extra day should a student diver need more time to complete the performance requirements to certify. Sections may change, so please bring all materials to all sessions. Due to the course being performance based, finishing times may vary to individual achievements. 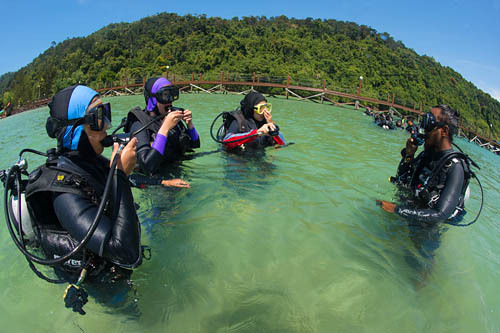 PADI Advanced Open Water Diver or have qualifying certification from another training organisation. This is proof of certification beyond entry level. If you are not PADI AOW certified you also need proof of at least 20 logged dives documenting experience in deep and underwater navigation. 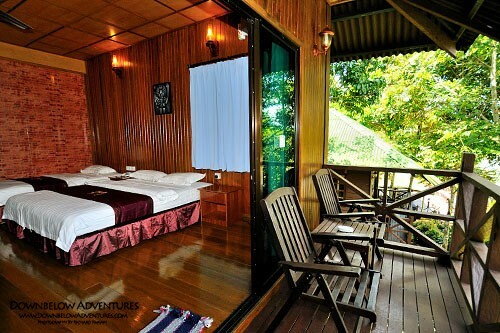 Hotel transfers (KK City), boat transfers, freshly cooked lunch and refreshments, park entry & jetty fees, guide/instruction, equipment rental, plus water, tea & coffee. Change of clothes, sun lotion, sun cream, towel, personal toiletries, insect repellent, hat, personal medication. Should you book your course/activity for 1 person only, a fee of MYR 150.00 per day (incl GST) applies and added to your invoice. 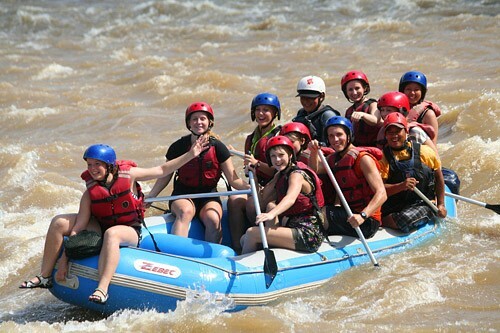 You will then enjoy a private guide/instructor. If in the meantime others book the same activity you will share your guide/instructor (maximum 4 students to one guide/instructor) and we will refund you accordingly. If you prefer to have a private guide/instructor please let us know in advance and we will not book others on the same activity with you.